Designing a room for a child is a creative, fascinating and very responsible process, as the children’s room will become a world for the child, which he will learn for many years, where he will spend the best moments of his life alone with his favorite toys, and therefore it is so important that the room is liked by the child, was not only aesthetically attractive, but also functional. There are many ideas for the design of the children’s room, and children’s furniture for the boy or girl should be chosen multifunctional and interesting. 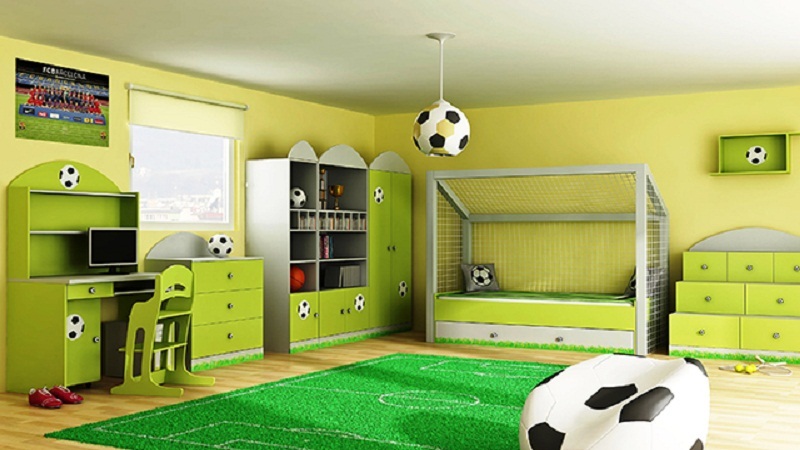 Some children from the earliest years are fond of sports and wish that the room in which they live, always reminded of sports and achievements. Deciding to decorate the interior in a sports style, you can supplement the walls with diplomas if the child has already managed to get them. So, the child will have an incentive to achieve new victories and always go towards the dream. This variant of the design of the room will allow the child to learn the cultures of other countries. It is very important not to impose the culture of any country, but to show pictures on the Internet so that the baby can show his preferences. Some guys are fond of animals and watch the programs about them with pleasure. In this case, the child will be interested in Africa, and you can arrange it right in his room. 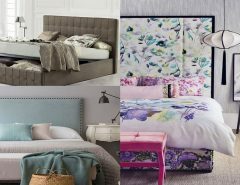 Posters with animals, carpets with leopard print, little animals on a shelf, beds in the form of animals – all this will be appropriate for the ethnic style. This style will definitely appeal to teenagers. In this case, you do not have to spend large sums on the design of the room. Enough bright colors, a minimum number of finishing materials, functional furniture. The main thing is that the materials for finishing are of high quality. Modern is good because it is suitable for any age and will be universal as the child grows up. 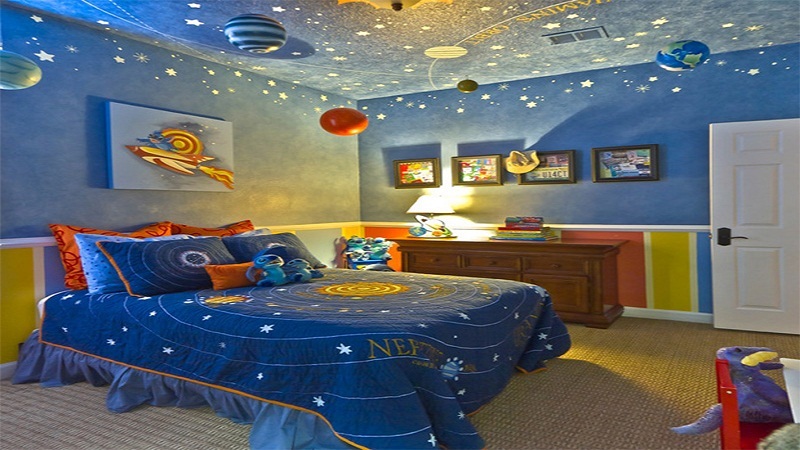 Preferring this option of decorating a children’s room, one should listen to the child’s opinion. Often children’s furniture for a girl or a boy is selected by parents, and the child does not like the choice. 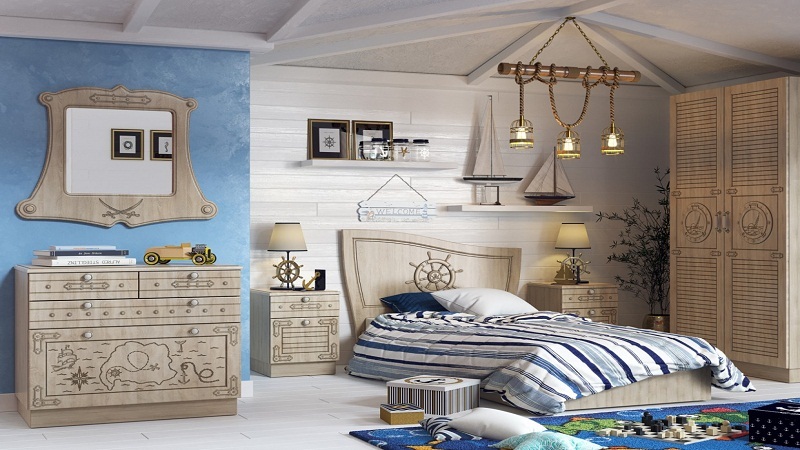 Look at the photo of the furniture with the child, and then you will be able to choose the best option for a room in the classical style. It is important that the furniture was made of safe materials, and the cumbersomeness of the selected accessories does not limit the movement of the child. The room should have space for entertainment and hobby.